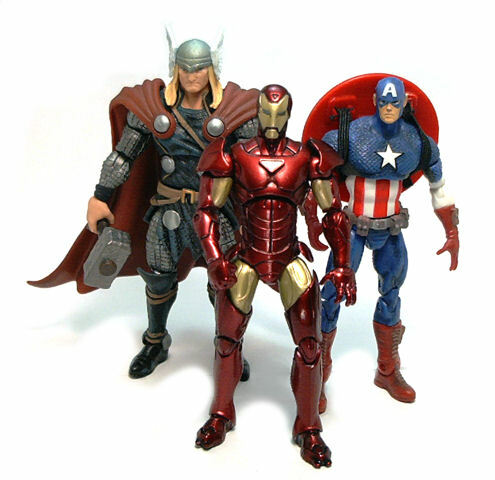 Within the Marvel Universe line-up from Hasbro, Iron Man is the one character that seems to get a good chunk of funds to develop completely unique molds. 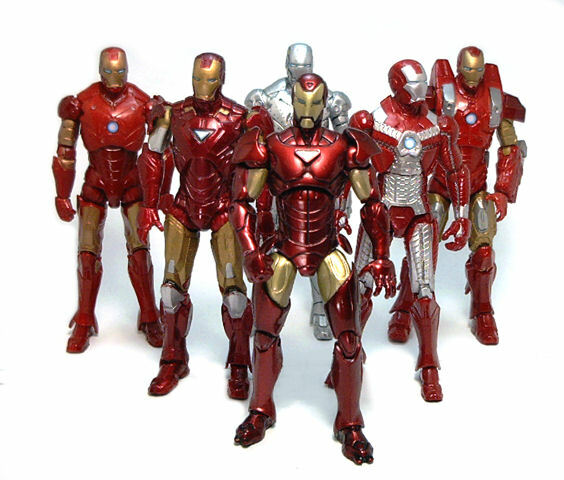 It does make sense, in a way, since the Iron Man designs don’t lend themselves to be achieved using any type of generic body mold, and even then, Hasbro certainly makes the most of their tooling costs by repainting the figures as many times as they can. 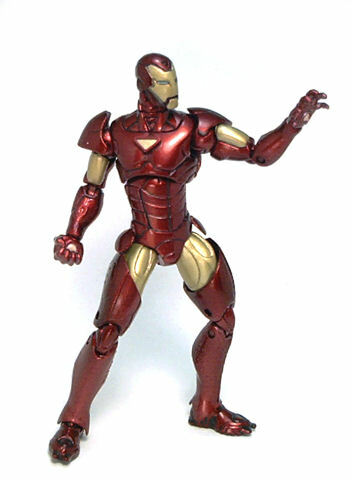 The most recent Iron Man version in the Marvel Universe line is this Extremis Armor Iron Man. The basics behind the new suit is that Tony Stark got infected by a nano-virus that bestowed upon him the ability to interface directly with the hardware and also gave him what I call a “magic armor”, which works pretty much the same way as Spiderman’s black symbiote suit did. The Extremis armor design incorporates elements from the movie and comic book designs, producing a very sleek, powerful look. 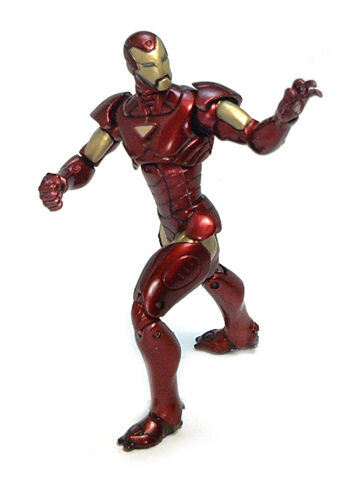 Articulation is expertly blended in the design and still manages to add some much needed improvements over previous versions in both the Marvel Universe and Iron Man 2 lines by Hasbro. • Peg & hinge neck. 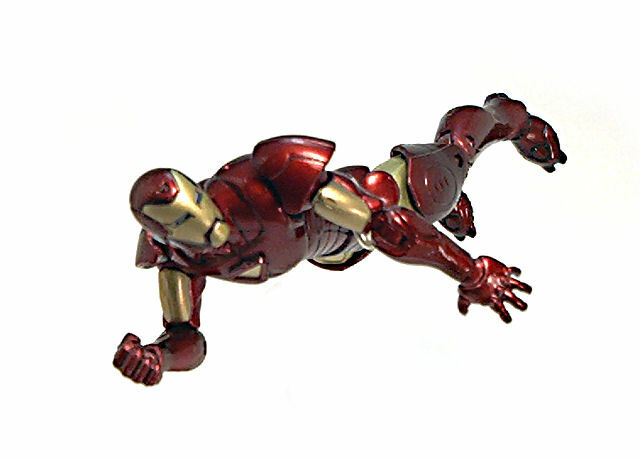 The neck joint allows Iron Man to finally look straight ahead while in flying poses, which is something no other Iron Man figure had been able to achieve in any of the Hasbro lines. As usual, shoulders and ankles get their range of motion reduced in some degree by the armor design and the hardness of the materials used. 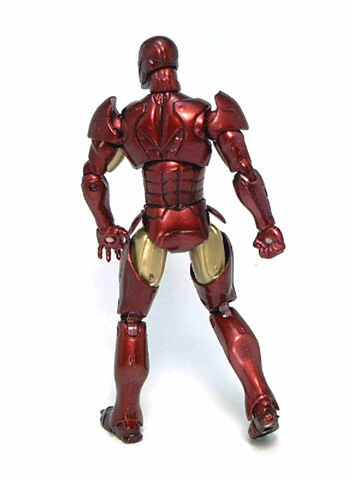 The paint scheme for the Extremis armor is a variation on the classic Iron Man palette, with the gold having a considerably paler hue and the red sections being much darker, although the overall finish is highly reflective. Unfortunately, due to the rigid nature of the plastic used, it is relatively easy for the paint to come off if not handled carefully. It is nothing serious, but be especially mindful of the disks covering the hip joints and the shoulder pads, as these pieces are the ones that more often will bump into another when tweaking a pose. The accessories included with this figure are pretty standard fare. 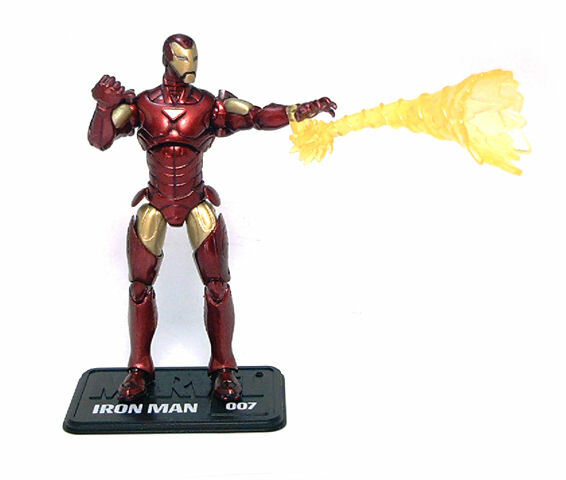 We get another of those horrid Repulsor Blast attachments we’ve been getting with each and any Iron Man figure in the Marvel Universe line, a black rectangular display base and a beige envelope containing the character’s H.A.M.M.E.R. file. 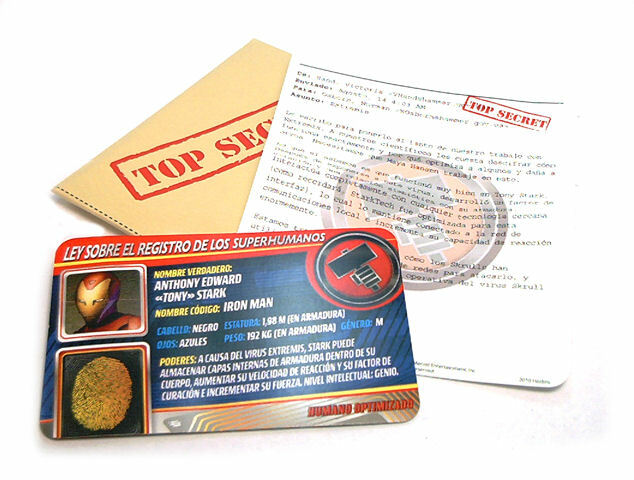 The version of the figure I got was the international release, which means the Top Secret Envelope comes without the HAMMER logo printed outside and both the memo and the dossier card come printed in spanish on one side and portuguese on the other, so there is no large size character illustration on the card. With stores still full of Iron Man 2 merchandise, I was not particularly stoked to get yet another Iron Man figure and even after I got this one I wasn’t really expecting much out of it, but as it turns out, the Extremis Iron Man is a very worthy addition to my Hall of Armor. Excellent review, however I would like to add a couple things. The big problem with MU figures for me is the plastic used, but when I saw Extremis Ironman, I still had to get him. He looked THAT good. Is it just me or is the plastic around his hips, be it the hips themselves or the balljoints made of that stupid rubbery plastic? Or are we looking at paint seepage? Either way, the hips on my Extremis Ironman can really move. I can force it, but 1) I get the impression I’m putting undue stress on the inner bar/balljoint and 2) Even when I move it, it corrects itself back to its original position. Pretty much rendering my Extremis unposable. This just me or you’ve got the same prob? Well, regardless, nice review. I like that Hall of Armors thing you got going. Cheers. Sounds like the hips on your sample might be paint stuck. My sample has/had thight hip joints, but as a whole range improved with use.